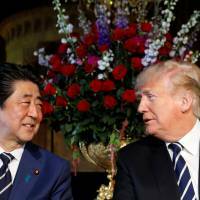 The government is making arrangements for Prime Minister Shinzo Abe to meet with U.S. President Donald Trump ahead of the landmark U.S.-North Korea summit in Singapore on June 12, government sources said Friday. 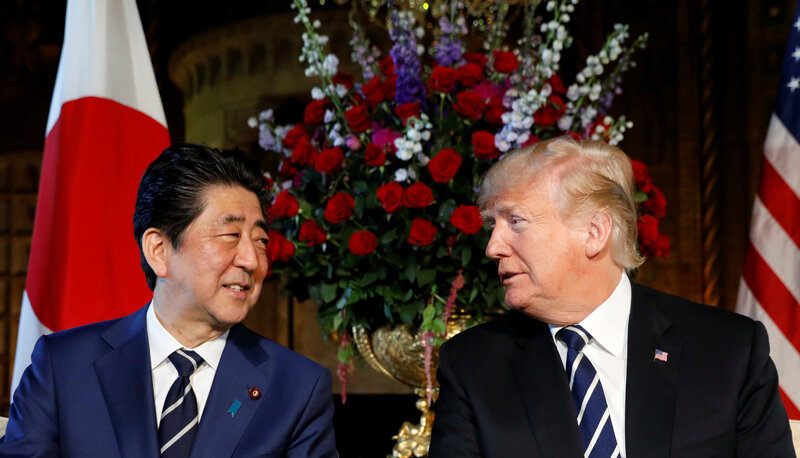 As leaders from the Group of Seven industrialized nations are scheduled to gather in Canada on June 8 and 9, Abe hopes to hold talks with Trump on the fringes of the summit and coordinate efforts toward resolving issues related to Pyongyang, the sources said. Abe is expected to ask Trump to push North Korean leader Kim Jong Un to address the long-standing abduction issue, the sources said. The prime minister also hopes to reaffirm the need to press Pyongyang to abandon its weapons of mass destruction, including biological and chemical weapons and missiles of all ranges. Abe has placed priority on resolving the abduction issue, which involves Japanese who were abducted by North Korean agents in the 1970s and 1980s. Following the return to the United States of three U.S. citizens imprisoned by Pyongyang, Abe said the Trump-Kim summit will lead to progress on the issue. “It would be better (for the two leaders) to meet, and they will likely do so,” a Japanese government source said. 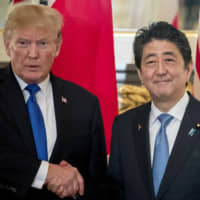 Speculation has emerged that Trump may make a visit Japan to brief Abe about the outcome of his anticipated summit with Kim in Singapore. Speaking on a TV program on Friday, Abe touched on the possibility of meeting with Kim if it leads to resolving the abduction issue. Abe also said such an opportunity could only follow a successful outcome in Singapore, which would raise expectations for an overall resolution of the nuclear crisis on the Korean Peninsula. “Normalizing diplomatic relations with Japan is an extremely important step for North Korea to tread a right path in the international community,” Abe said on the TV program, stressing that he hopes Kim will not be satisfied only with holding talks with the U.S. and South Korean presidents. 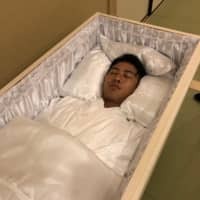 But he also said Tokyo will not normalize diplomatic ties with Pyongyang before resolving the abductions. While denying there will be any provision of economic support to North Korea for the time being, Abe said Japan would have to share with the international community the cost of International Atomic Energy Agency inspections in North Korea.